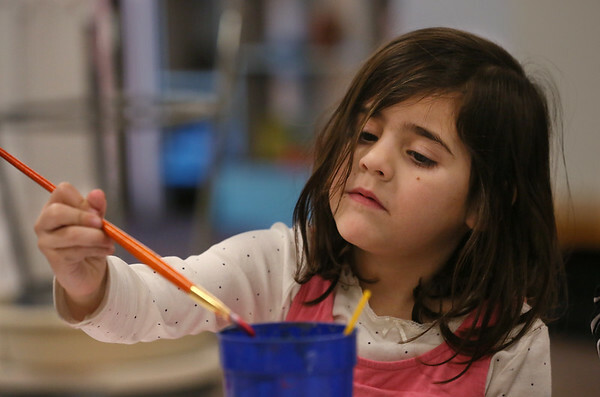 Five-year-old Emmy Philbrook dips her brush in water during an after-school painting class Thursday at Cape Ann Art Haven in downtown Gloucester. Art Haven offers a variety of after-school art courses. For more information go to http://www.arthaven.org.